Building Fire at 68 Park Ave. The Keene Fire Department was dispatched at 1046 hours to 68 Park Ave. in Keene for a reported house fire. The Keene Fire Department was dispatched at 1411 hours to a reported mobile home on fire at 98 Sparrow Street. The Keene Fire Department was dispatched at 1612 hours to residence for a report of a broken water pipe. 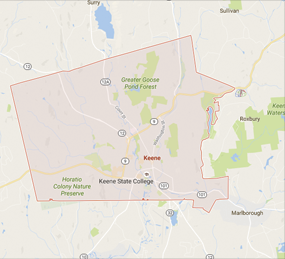 On December 13, 2017, the Keene Fire Department was dispatched at 1710 hours to a residence at 153 Island St. in Keene for a report of a room fire. The Keene Fire Department was dispatched at 1127 hours to the Keene Post Office at 196 Main Street for an automatic fire alarm activation.